Staff of the Arab Centre for the Studies of Arid Zones and Dry Lands (ACSAD), Damascus, Syria; P.E.V. Charman, and staff of the Soil Conservation Service of New South Wales, Australia; Dr.. M.T. Dennet, Dept. of Agricultural Botany, University of Reading; Dr. Robert M. Dixon, Imprinting Foundation, Tucson, Arizona; Dr. H.E. Dregne, International Centre for Arid and Semi-arid Land Studies, Texas Tech. University, Lubbock, Texas; Dr. S.A. El-Swaify, College of Tropical Agriculture and Human Resources, University of Hawaii; Prof. Michael Evenari, Hebrew University of Jerusalem; Dr. Dwayne H. Fink, US Water Conservation Lab., Phoenix, Arizona; Barney Foran, Division of Wild Life and Rangelands Research, CSIRO, Australia; Dr. S.A. Gavande, Soils and Reclamation Consultant, Austin, Texas; Dr G. T. Gowon, Federal Dept. of Agricultural Land Resources, Kaduna, Nigeria; G.M. Hallam, DRSPR, Mali; Dr B. Heusch, Saint Mury-La Tour, France; W. Hoogmoed, Agricultural University of Wageningen, The Netherlands; Dr. Hans Hurni, Soil Conservation Research Project, Addis Ababa, Ethiopia; Staff of the Intermediate Technology Development Group, Water Group; Intermediate Technology Publications; Staff of the International Centre for Agricultural Research in the Dry Areas (ICARDA), Aleppo, Syria; Staff of the International Crops Research Institute for the Semi-arid Tropics (ICRISAT), Hyderabad, India; Dr. Emlyn Jones, Chiredzi Research Station, Zimbabwe; C.D. Kagoro, The Institute of Agricultural Engineering, Zimbabwe; I.A.F. Laing, Dept. of Agriculture, Western Australia; Dr. H. Lal, EMBRAPA, Petrolina, Brazil; J. G. Lewis, WAPAC, World Bank; Prof C. Mathieu, Faculty of Agronomic Science, University of Burundi; Prof. W.G. Matlock, College of Agriculture, University of Arizona; Dr. A. Millington, Dept. of Geography, University of Reading; I.R. Melville, Conservation Commission of the Northern Territory, Australia; Dr. V.V. Dhruva Narayana, and staff of, the Central Soil and Water Conservation Research and Training Institute, Dehradun, India; Dr. W.E. Ormerod, Padworth, Reading; Staff of Overseas Development Institute, London; Staff of Oxfam; Dr. A.von Peter, International Potash Institute, Switzerland; Prof. J. De Ploey and Dr J. Poesen, Catholic University of Leuven, Belgium; Staff of "Institut de Recherches Agronomiques Tropicales et des Cultures Vivrieres" (IRAT), Montpellier, France; R.G. Richards, Conservation Commission of the Northern Territory, Australia; Dr. E. Roose, ORSTOM, Montpellier, France; Prof. C.W. Rose, School of Australian Environmental Studies, Griffith University, Queensland, Australia; Dr. D. Rosenzweig, Director of Soil Erosion Research Station, Natanya, Israel; T.F. Shaxson, FAO, Brazil; D. Sims, FAO, Portugal; C.W. Steley and W.F. Buddee, Overseas Projects Division, South Australian Dept. of Agriculture; Dr. M.A. Stocking, School of Development Studies, University of East Anglia; Dr. R.K. Sivanappan, Tamil Nadu Agricultural University, Coimbatore, India; Dr. C. Valentin, ORSTOM, Abidjan, Cote d'Ivoire; H. Vogel, German Agency for Technical Cooperation, (GTZ); Dr. T.J. Willcocks, Overseas Division, NIAE, Silsoe, Bedford. Many technical staff in FAO have also been most helpful, particularly D.W. Sanders, Officer-in-Charge, Soil Resources, Management and Conservation Service, who proposed the bulletin and helped define its scope and objectives, and the officers in that service for technical advice. The FAO Remote Sensing Centre who provided the satellite imagery. The research for such a wide-ranging subject was greatly helped by support from the library of Silsoe College - data-base searches by the Librarian Bryan Morgan, retrieval through Inter Library Loan by Mrs Betty Laing, and all the staff helped find material in the College Library. On the production side, many photographs have been kindly loaned, and the source of each is acknowledged in the captions. Photos without a listed source are from the author's collection. Most of the diagrams were drawn by Helen Trayner. I am most grateful to Linde Ovington Lee for ably taking the inumerable drafts and changes through her word-processor, and to Hazel Tonkin, AGLD Editor and Meetings Officer, for editorial help and advice, and for putting it all together. 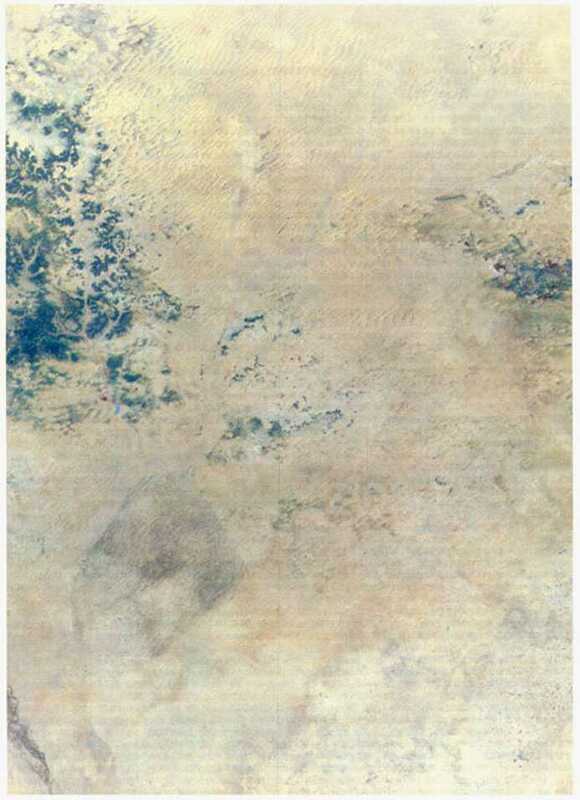 Frontispiece: Satellite imaginery showing overgrazing in the Sahel. The hexagonal shape is the Ekrafane ranch in Niger, where grazing is controlled. The surrounding white area is denuded of vegetation by overgrazing.